The Hornepayne First Nation is within the boundaries of the community of Hornepayne, which is within the boundaries of the territory described by the James Bay Treaty of 1905- Treaty No.9. We are not a reserve, Although we are recognized as a Native Community by Nishnawbe-Aski Nation. We are presently pursuing our separate band status and land base. Physical evidence show that for more than 1,000 years Algonkian speaking (Ojibway and Cree) natives have lived around the Nagagamasis Lake and Shekak River area. Artifacts such as potsherds-fragments of ancient pottery, give evidence that the area was inhabited by natives as early as 800 AD.They were also around Nagagami Lake as easily as 1760. The Obakimaga Lake was another area they inhabited. 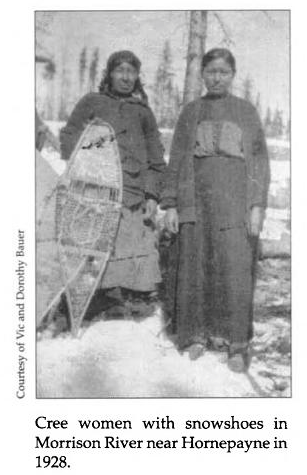 Their economy was based on fishing, hunting, trapping, and gatherings until the 19th century when they became involved in the fur trade with the Hudson’s Bay company. By approximately the 1930’s the natives started to move to Morrison (Shekak) River Settlement. In the late 1940’s they eventually moved to Hornepayne semi-permanently to work for the Timber Co. and Canadian National Railways. We are surrounded by lakes, rivers and steams. Larger lakes around us are Nagagamasis, Nagagami, Obakamiga, Granite Hill, and Kabinakagamasis. 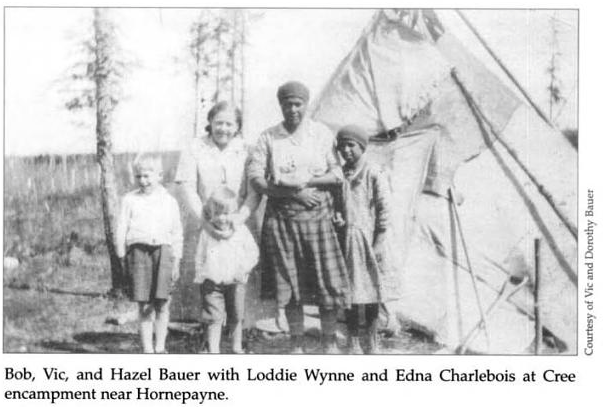 The Kenogami, Shekak and Nagagamasis Rivers were the most travelled waterways by the native people before they settled in Hornepayne.